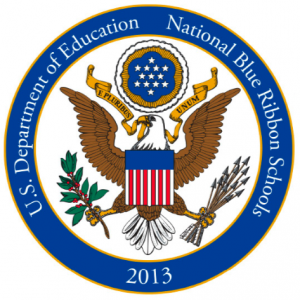 Trinity School at Greenlawn earned its fourth blue ribbon award from the US Department of Education on Tuesday, September 24. With the award, Trinity joins a group of eight high schools (three private schools and five public schools) in the entire United States who are four-time winners, according to a spokeswoman for the Department of Education. (Between 1982 and 2012 just 35 high schools had won the award three or more times.) Trinity is also the only Indiana school to win four blue ribbon awards. To qualify for the award this year, Greenlawn students had to score in the top 15 percent nationally on the SAT and the school had to submit an application describing its mission and curriculum. Just 50 private schools in the country were selected as winners this year. Greenlawn has now won the blue ribbon award under four different heads of school: Bill Wacker (1989), Debbie Mixell (1993), Tom Finke (2003) and John Lee (2013). John will travel to Washington D.C. to accept the award in November. The award is also the seventh time a Trinity School campus has won a blue ribbon. Trinity School at Meadow View won the award most recently in 2010. River Ridge won in 1996 and in 2008. Never a doubt. Great job! Congratulations! Trinity Schools is a wonderful gift. It is wonderful to see the vision that the Lord gave us over 30 years ago has greatly impacted not only our own lives but the state of education in our country. 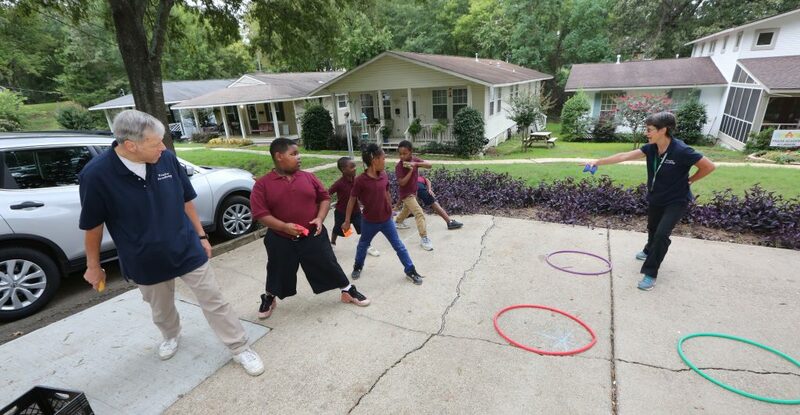 It has inspired the start of two other Trinity campuses as well as other educational approaches to teach not only our children but the children in our neighborhoods and cities. We couldn't even imagine the impact we would have across the nation when Trinity first opened its doors in 1981. Thank you to all our brothers and sisters who said yes back then and those who continue to say yes right now to this particular mission that the Lord has given us. I'm grateful to all of those dedicated to Trinity Schools, present and past. And blessed by Dr. Koller's ongoing leadership. Praise God and Hooray for Trinity at Grrenlawn! Congratulations! Thanks for continued hard work! God bless all the teachers, parents, and students! And the board and administration!